Drone technology is now something we are all familiar with and the aspects of safety when it comes to Drone flying is now more prominent than ever. 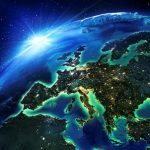 Given recent events here in the UK and the increasing use of drones both for industrial applications and leisure the impact of future changes to regulations is uncertain. 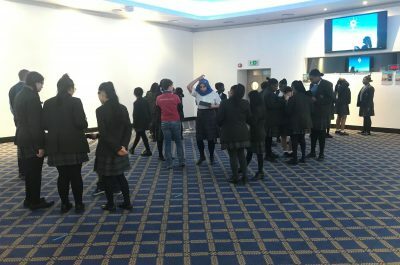 With drones being such a ‘hot’ topic within current affairs, it was a pleasure for the Royal Aeronautical Society to host its first Drone Masterclass for young people. 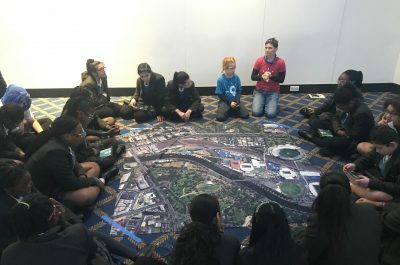 This interactive opportunity was organised through Shemaps, James Cook University Australia and the University of Exeter and aimed at girls who often don’t take up similar opportunities. 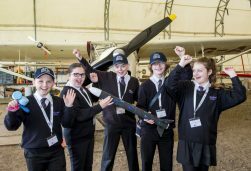 We were delighted to welcome 48 secondary school students from St Martin-in-the-field School for Girls in London, Millais School in Horsham and The Portsmouth Academy have such as fantastic day learning about various aspects of drone flying. The students were first engaged in learning about the core stages of safety, manual flight and coding for autonomous flight. 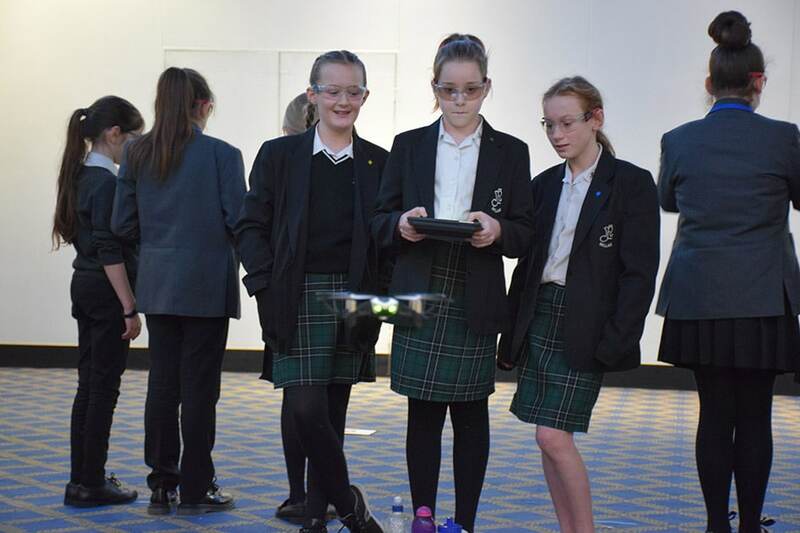 Secondly the girls were able to immerse themselves in using drones for scientific research, such as aerial mapping and photography, as well as being able to enhance their piloting skills. Based in Australia, Shemaps diverse team are passionate about achieving gender equality in science, technology, engineering and maths (STEM) careers. With a variety of programmes aimed at inspiring the next generations into STEM related pathways, their fully comprehensive programmes (with links to the Australian curriculum) can easily be implemented in any school. From the RAeS point of view, it was inspiring to witness such a positive and engaging day for the students. 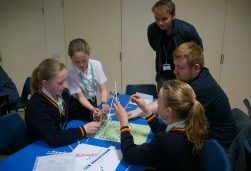 With a well-documented shortage of engineers in the UK, at this present time it is now vital to close this gap and give girls the opportunity to gain real hands on experiences. Remarkably only 6% of the workforce is made up of females. With 100,000 new roles that will need filling by 2020, organisations such as Shemaps can path the way with various initiatives to bring diversity into the world of STEM. 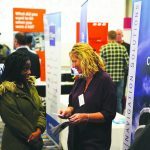 With big challenges facing the sector regarding diversity, it is now vital that organisations work collaboratively to empower newer generations into career pathways that were perhaps unknown five or 10 years ago, as well as breaking down those barriers for girls who previously may have opted for alternative careers.